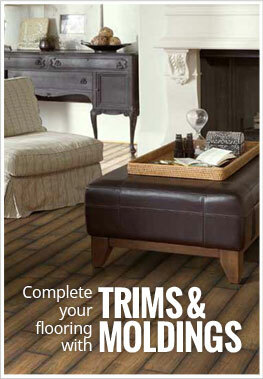 Description - Enjoy the benefits of hardwood flooring with Shaw's Pebble Hill collection in 3-1/4" wide planks. Narrower than the standard 5" width collection, this line offers a unique and modern touch to any space it may be installed. Engineered flooring is highly durable and less susceptible to moisture issues, meaning that it can be installed on any level of the home. With an easy to install tongue and groove system, micro beveled edges, and a lifetime warranty, you are going to love this flooring for a lifetime. Size – These engineered hardwood planks are 3.25" wide in random lengths. Average plank length is 3'. Thickness – Each plank is 3/8" thick. The wood veneer is 1.8mm thick. Recommended Uses – Shaw's Pebble Hill engineered planks have been installed successfully in a variety of spaces and applications. Some examples are in a small retail space or boutique, bedroom, kitchen, family room, basement, and much more. Handscraped with a micro-beveled edge. Perfect for installation on, below, or above grade. I heard engineered wood was the next best thing to hardwood floors. I think they were right! I love this engineered wood floor and I think it'll last for years to come. I love our new floor!